With AgilePoint NX OnPremises, the server-side components of the AgilePoint NX platform are hosted on servers inside your organization's firewall. Like AgilePoint NX PrivateCloud or AgilePoint NX OnDemand, AgilePoint NX OnPremises can operate in a multi-tenant configuration. 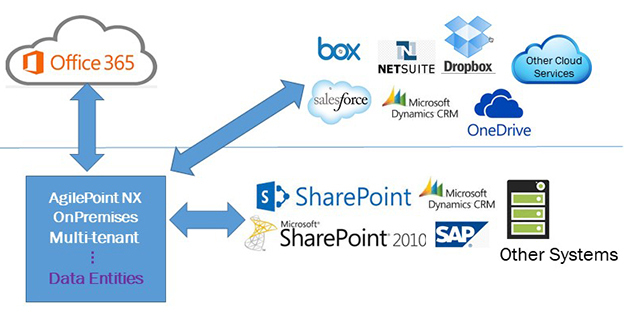 AgilePoint NX OnPremises operates as a platform as a service (PaaS). You can connect to services inside or outside your firewall, and you maintain complete control of the connections and security.